A perfect beginner project -- a hip knit purse knit in chunky yarn with big needles. Great for practicing basic shaping (decreases and increases) and your purling. Instructions are written for beginners - NO abbreviations! 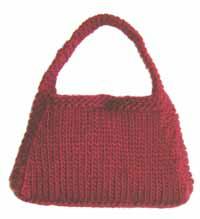 Purse is approximately 9" x 5-1/2" and made in a easy-to-knit wool/mohair blend yarn. Great as a first project or when you are ready to graduate from scarves! 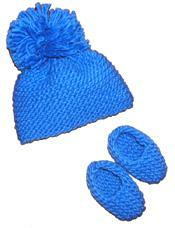 Knit on size 10-1/2 knitting needles.